The struggle to find quality workers is hitting irrigation harder than almost anywhere in the green industry. Experts say companies are struggling to keep up with seasonal demands due to a significant shortage of skilled irrigation technicians. One reason for the shortage of skilled irrigation techs is the necessary level of expertise can take years learn, says John Butters, irrigation manager for Timberline Landscaping in Colorado Springs, Colo., and member of the Irrigation Association’s (IA) certification board. Most of Timberline’s technicians, whose ages average 41, started as laborers on installation crews and learned their expertise by working in the field for many years. Additionally, many people entering the workforce don’t see the irrigation industry as a desirable field to enter, says David Hartzell, general manager of New Jersey Best Lawns, Sprinklers & Fencing. They also don’t realize how much money they can make. The full-service landscape firm in Lakewood, N.J., pays technicians between $35,000 to $75,000 annually. Hartzell adds that the winter weather keeps his techs out of the field from Dec. 1 to March 15 each year. 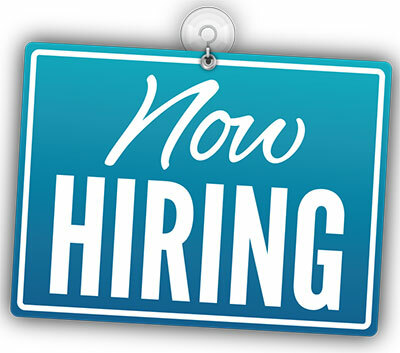 The company needs 10 to 15 fully trained service technicians to operate each year, and losing even one causes delays in service and startups. “There seems to be very little interest in the industry as a whole,” Hartzell says. Another reason for the shortage of skilled technicians, sources say, is a decline in companies that focus exclusively on irrigation. Many companies now offer irrigation as one of their many services, and may assign the work to basic laborers they already have on staff instead of hiring and investing in skilled irrigation technicians. The shortage of skilled irrigation technicians is having a negative impact on the industry as a whole, experts say. Without knowledgeable technicians, systems are more likely to be installed and maintained improperly, resulting in water waste. Many drought-stricken areas of the country face severe water restrictions. Some places, like Florida, don’t have mandatory water use standards, which de-emphasizes conservative water use, King says. The lack of qualified labor has forced some companies to change the way they operate. For example, New Jersey Best has raised prices for new installations by 8 to 10 percent and now faces a 30- to 45-day lead time for new installs. Hartzell says the company has switched to Wi-Fi-based controllers to decrease the number of basic service calls and has begun to use flow sensors to detect leaks so systems can be shut down remotely. Butters says his technicians not only do service calls but have property assignments as part of annual maintenance contracts. They are responsible for winterizing, spring startups, weekly equipment checks, repairs, the initial programming of the irrigation schedule and adjustments to that schedule throughout the season. Industry organizations, manufacturers and distributors are trying to offset the technician shortage by providing education and training. For example, the IA offers a certified irrigation technician (CIT) exam so field employees can gain more knowledge. The IA’s Irrigation Foundation supports technicians through its scholarship program. It also has worked with the IA’s professional development department to offer college students an academic track for the CIT exam and the certified landscape irrigation auditor designations. Additionally, each year the Foundation hosts the Irrigation E3 Program during the Irrigation Show & Education Conference. The program provides education and experience to irrigation students and faculty members. The Foundation also holds Faculty Academy each summer, a train-the-trainer program designed for agriculture and landscape irrigation educators to learn and take their knowledge back to the classroom. According to IA data, 123 irrigation professionals passed the CIT exam, and 23 students and three faculty members participated in the Foundation’s E3 program in 2016. The IA also notes that 99 percent of its members say certifying irrigation professionals is important for the irrigation industry, and 94 percent say their company recognizes the value of hiring IA-certified professionals. Groups are making efforts on the local level, too. Through the Associated Landscape Contractors of Colorado’s Landscape Career Pathways Program, Timberline Landscaping has partnered with a local high school to teach students skills that will allow them to be job-ready upon graduation. The curriculum at Falcon High School in Peyton, Colo., is expected to begin during the 2017-2018 school year. 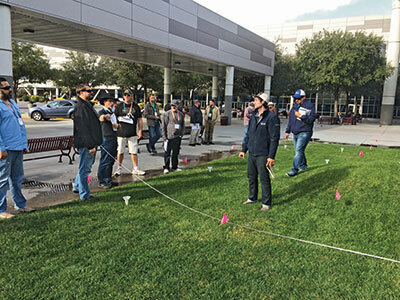 It aims to connect 15 to 20 high school students with the landscape irrigation industry through work/study programs and internships. While programs like these are steps in the right direction, Butters isn’t convinced they are enough to produce the number of skilled technicians needed. Like Butters, many professionals believe that the future of labor in the irrigation industry is all about training, and needs to start with individual companies investing in their current employees. By making training a priority, companies may entice their irrigation techs to gain the knowledge and know-how to be valuable assets for the long term.